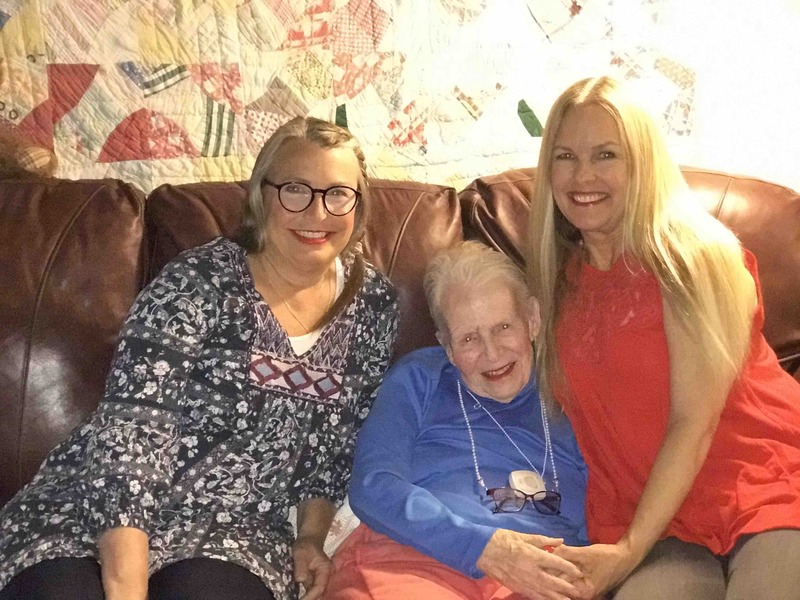 Our sweet friend Mernie (Marilyn) Richter has developed a heart condition. Her heart races and they are not sure why. 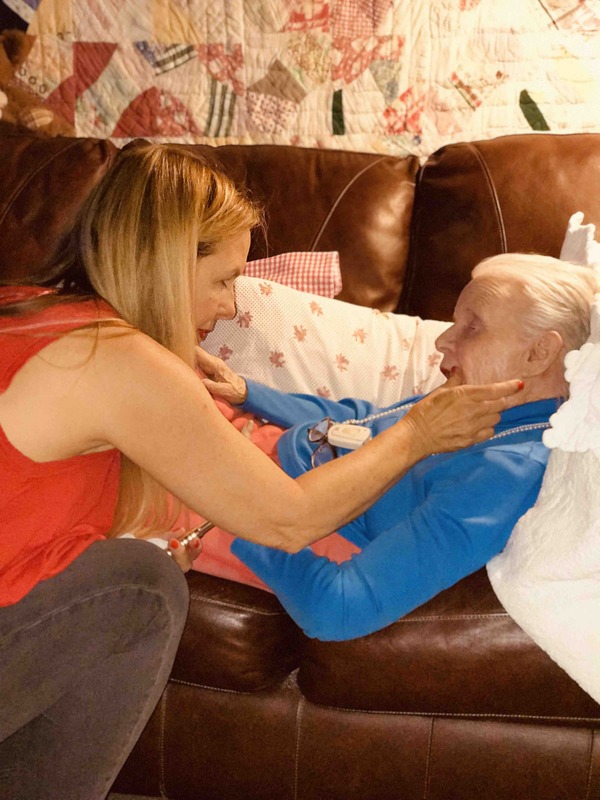 Originally her doctor had it under control with medication but her condition has worsened and the medication no longer is effective in controlling it. Mernie and Karen have determined that Mernie needs more skilled care than Karen can provide for her at home. 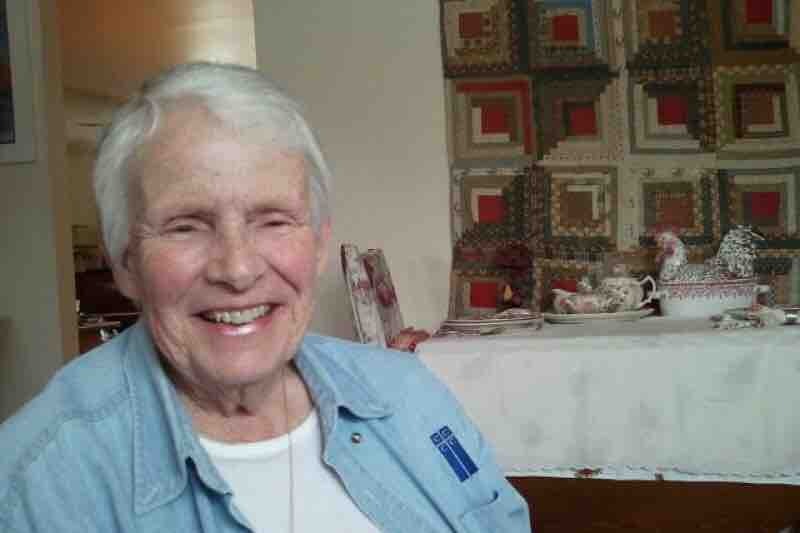 Mernie has moved into a long-term care facility (Rancho Vista Retirement Community) which is very near Karen's home. The facility has multilevel care so Mernie can stay in one place as her condition progresses. As you can imagine Mernie does not have any long-term care insurance to cover the cost of care. She has her social security and the rental income from the granny flat at Edgehill Herb Farm which will cover some of the cost. The shortfall each month is $1830 and that is where this campaign comes in. There are so many of us who love Mernie and have been touched by Mernie and Ernie over the years. Maybe we can be the ones who can provide her "long-term care insurance fund". If 18 of us could give $100 per month the shortfall would be covered. 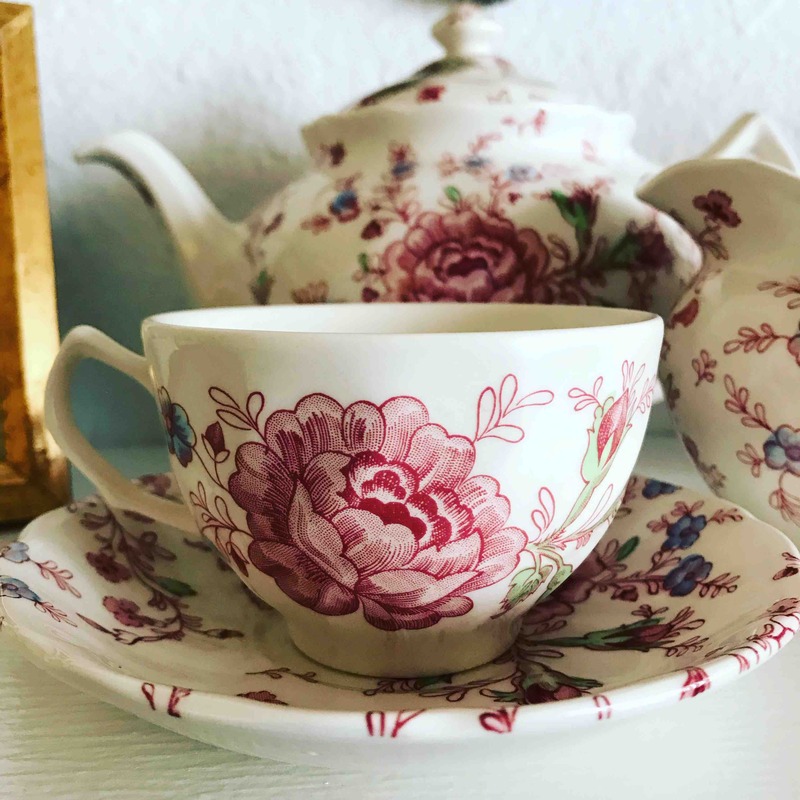 Or if you cannot make a monthly committment then maybe you could give a one-time gift. All of us can lift Mernie and Karen up in prayer as they face this next chapter in their lives. Please pass the word along to others who are friends and family of Mernie's so we can get the word out and help our dear friend meet her needs. My Mom, Mernie, has gotten lots of visitors of late which has been an ongoing source of joy and blessing. Niece Nikki came from Nor. Cal. to visit her family and also found time while in the area to visit her Auntie Mernie! Nikki is a makeup artist and has sent mom lotions and lipstick that have been helping Mom’s skin and lips feel better and during her visit she did mom’s make-up; cheeks and lips! She also did my make-up for her business’s before and after photo gallery and mom got to watch Nikki at work which was so much fun! 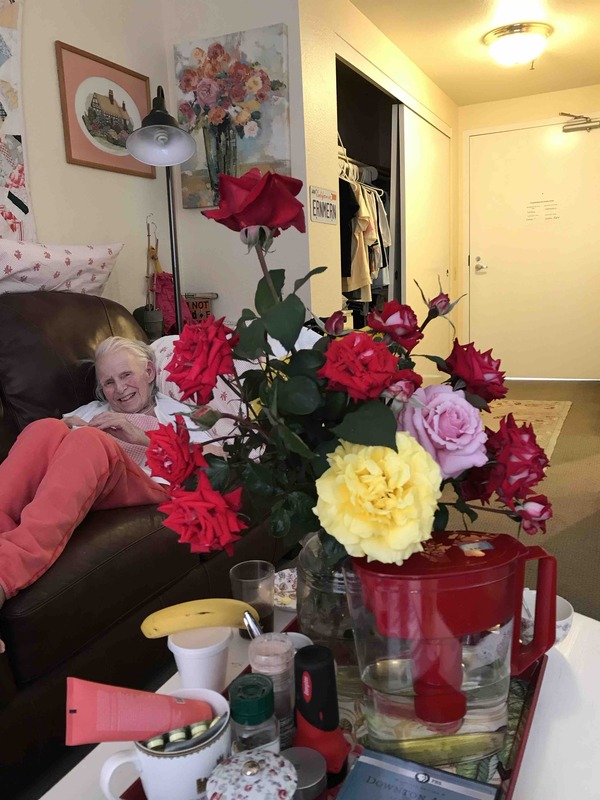 All these visits and all your donations (here, on Facebook, and in private) are helping to give my mother a rich, safe, full life - and all this is from the confines of her couch in her room at Pacifica Senior Living, Vista, Ca. The definition of “bloom where you are planted!” We praise God for all of you and all His tender care of us through you. Mernie’s niece Nikki did her makeup! 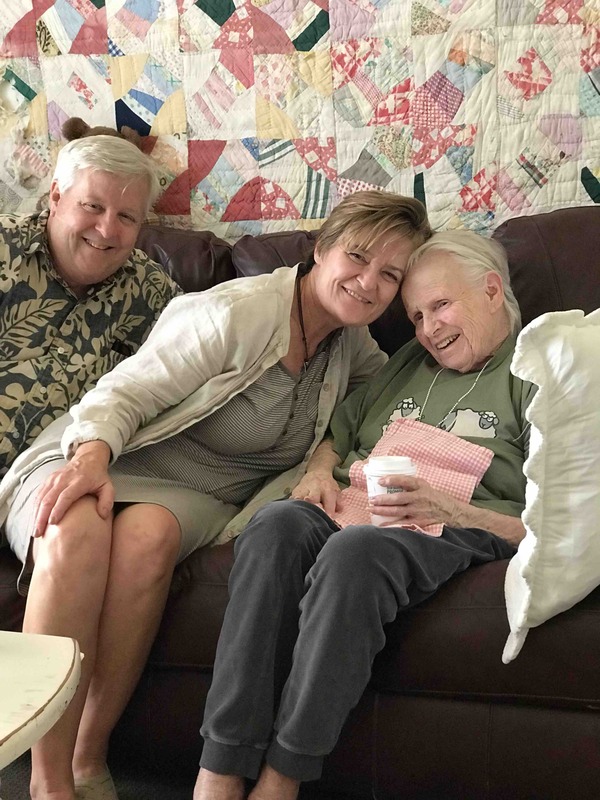 Recent visitors, Bill and Jana Cook with Auntie Mernie. Hard to believe but we are entering another year of Mernie in a care home and trusting the Lord with every day. Your support has made it possible for her to have excellent care and a contented life. God bless you all! Family visiting Mernie in her room. My mom, Mernie, loves having guests in her room no. 127 at the Rancho Vista Retirement Community, Vista, CA where she lives, and, when I, Karen, am able, I time my daily visits to see her when she has guests - so, truth be told, I love when mom has visitors too. Whether you are able to donate to this, her Long Term Care GoFundMe, or not, please know that if you’d like to visit, we’d like it too! We are grateful for everything; donations, prayers and visits. Costs of her care have increased slightly this year and this fund is still an all important part of her upkeep needs. So many people are faithfully donating and we both thank God for all of you and for this miraculous ongoing blessing. Mom is happy and content in spite of her failing health. 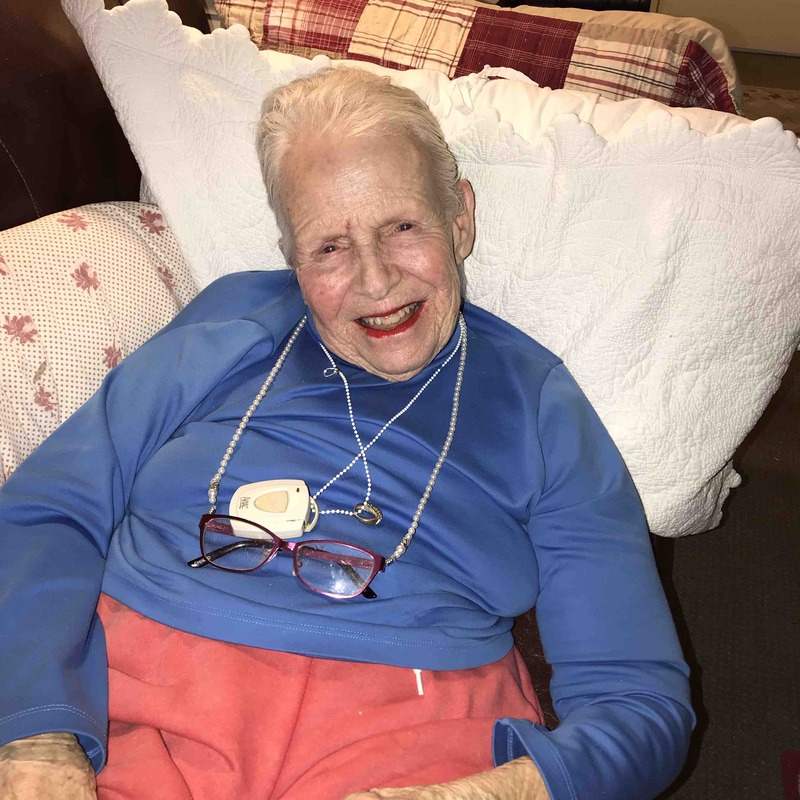 She has seemed to plateau decline-wise, which is a good thing for us, and we credit this firstly to the Lord and secondly to the safety that she feels and the excellent care she is receiving at her care home. We are using this time to make the most of this plateau while it lasts. And if you want to visit her, now is the time while we are doing well. She is a real inspiration. Trusting God. She has so much that she could complain about, and yet she doesn’t. She is a joy to be around. She loves to pray for you at night when there is nothing else to do and she looks at this as her ministry and her way to say thank you. Know that she is praying for you just as we know that you are praying for us. 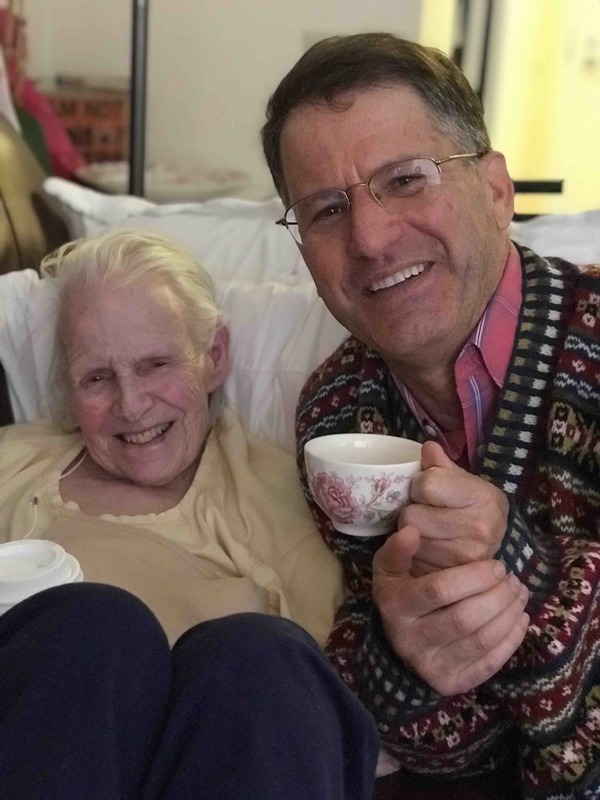 Bob Ayers & Mom during recent visit.